This month has been a battle with my dry skin, and I’m still not quite winning, but I think I’m getting closer. 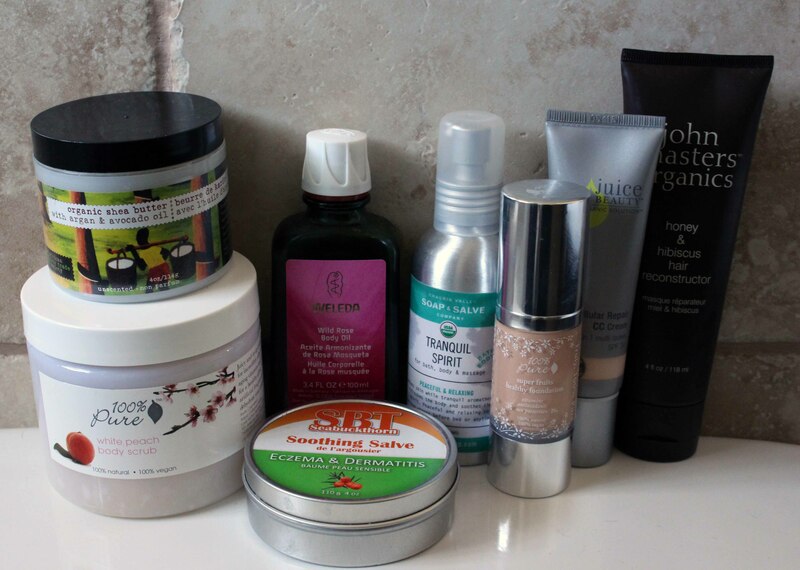 I have a few products under the body care category this month just to help show the extremes that my skin is requiring of me right now. Body: I shower in cold water to help preserve my skin’s moisture barrier and then exfoliate every three days or so with 100% Pure’s sugar scrub (review) in the marvelous scent of White Peach. The oils in this product are helping with my skin too. Then, after patting my skin with a towel, I apply a thin layer of a body oil. I’ve been alternating between Chagrin Valley’s body oil in the scent Tranquil Spirit – which I adore!- (review) and Weleda’s body oils (review) in an array of scents (I got the sample pack a while ago, so I’m working through those and using up my full-sized bottle of the rose scent). I’ll immediately follow that with some shea butter from the African Fair Trade Society and let that all sink in before getting dressed. It makes me a big greasy mess, but it will hold off the itching and dry skin for at least 10 hours. Then my skin needs more help again, but what can ya do? On the especially dry spots I also layer on SBT Seabuckthorn’s Eczema and Dermatitis Salve. Repurchase? I haven’t found a body oil that has reached HG status, or even come close, so I’ll keep looking on that front. As for the shea butter and the scrub ? Yes, I already am on my second/third tub of each. Skin Care: The skin on my face is also feeling the drier weather, so using just my regular moisturizer isn’t enough. Juice Beauty’s CC Cream (review) not only offers me SPF but gives tons of moisture that lasts all day long. Now if something could just be done about that smell… Repurchase? Absolutely. The strange scent isn’t enough of a deterrent for such a high performing product. Makeup: 100% Pure’s Super Fruits Healthy Skin Foundation (review) pairs perfectly with Juice Beauty’s CC cream because this foundation is a bit on the dry side, and really offsets the moisture of the CC cream. Both stay put all day long when applied one after the other, and keep my skin balanced and gives me adequate coverage. Repurchase? Probably. I might try a few other liquid foundations first, just in case I can find something better before I settle. Hair Care: In an effort to keep the fashion colours of pink, purple, and teal in my hair for as long as possible between hair appointments I am getting used to the idea of only washing my hair every five days or so. Don’t worry, this diva doesn’t like the idea of greasy hair either, so I’ve been working with dry shampoo recipes. I can now wear my hair down for three full days before wanting to pull it into a braid or up in a pony tail. I could probably even push it for 6 days at this point. Anyway, another part of this journey is to find products with a low pH to help keep the dye on my hair. John Masters Organics Honey and Hibiscus Hair Reconstructor (review) not only has a low pH (2.5) but gives my hair a rich drink of moisture that lasts for several days. Exactly what my high maintenance hair is craving right now! Repurchase? I have repurchased this product as a hair mask so many times I’ve lost count. Do any of those products strike your fancy? Do you have any body oils to recommend to me? I’m not a big fan either, haha! Cold water??? What??? I would be freezing hhaha. I feel the same way about the 100% Pure Foundation. Way too dry for my skin even in the summer :(. I liked it though. Awesome post! 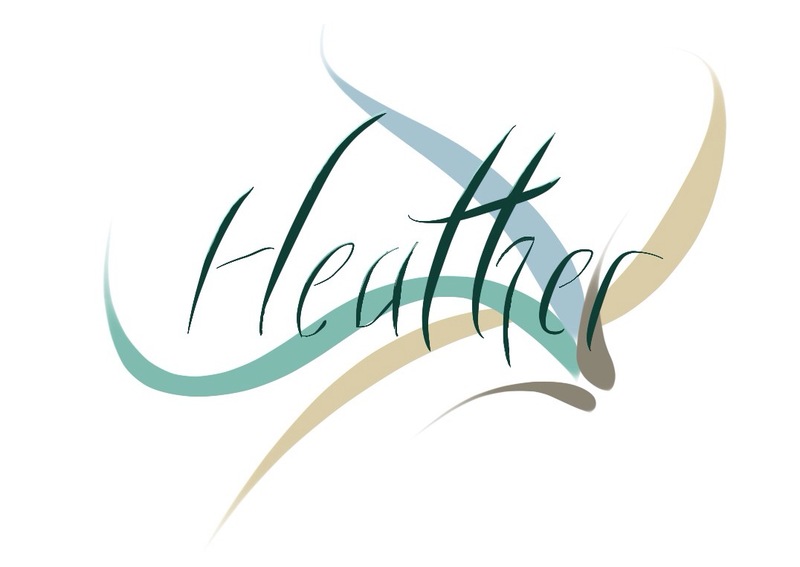 Heather- You should check out the W3ll People foundation! I just bought it last week and have been LOVING it. It’s very satiny and doesn’t dry out even my dried out face! I have the narcissist foundation stick, but I find it too dewy for my taste. It is working wonders as a concealer, though! Thanks for your comment!